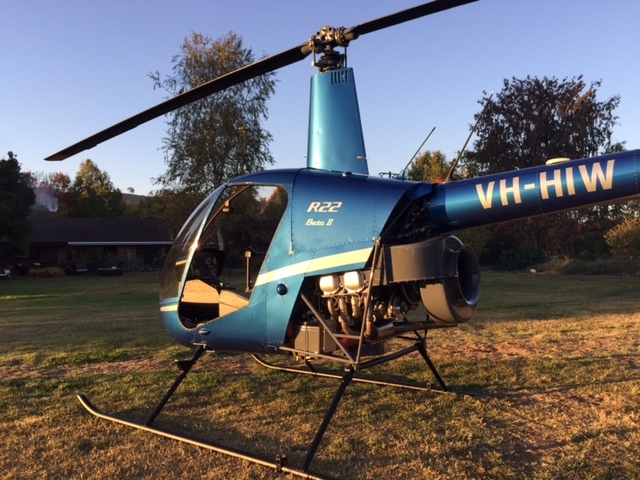 Helico Australia has been operating since 2013 and was started because we enjoy rebuilding Robinson aircraft and believe that the 2200hr inspection or rebuild is the perfect opportunity make your aircraft look and run like its brand new. We get a real kick out of the process of pulling apart a tired helicopter and making it immaculate and could see a market for quality rebuilds that minimise down time over the next 2200hrs. There are more Robinson aircraft in Australia than any other with 576 R22s and 487 R44s. They are the most versatile and affordable helicopter on the market used for flight training, sight seeing, mustering, spraying and so forth. At Helico Australia we strive to achieve a very high quality of work in an efficient time frame for a price that is cost effective and competitive. We are proud to have honest, genuine dealings with people and aim to be the best at what we do. We specialise in Robinson Helicopter rebuilds, line maintenance, pre purchase inspections and sales. Hylke Kijlstra has been a Licensed Aircraft Engineer since 2004. He started with a mobile helicopter maintenance company that travelled around southern Australia servicing, then he headed north to work for Heli-Muster at VRD station, a bustling helicopter company. Hylke has also worked for Helicopter Resources in Tasmania and in the Antarctic. Hylke and his team have now completed over 20 quality rebuilds throughout Australia. Brad Walker started helicopter engineering when he was 16 at Helimuster on VRD. He has since worked all over Australia from Perth to Derby, Caloundra to Hobart on a wide range of aircraft. Brad recently ran the workshop at the well renowned Pacific Crown who specialise in eurocopter deep maintenance and are know for their precise and detailed work. Brad has now brought his experiences together to bring the quality of turbine helicopter maintenance to the piston engine market. Ready to launch into flight? Get your rebuild done today.